Good news -- we've just released a massive new patch, bringing Zafehouse: Diaries to v1.2.0. And when we say "massive", we mean it! 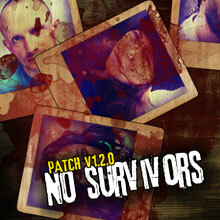 Along with the usual tweaks, balance changes and fixes, v1.2.0 introduces an entirely new game mode called "No Survivors", protection items to keep your survivors safe and sound, new items including the submachine gun and backpack and loads more. First, let's tackle No Survivors. You've been asking for a truly endless game mode and here it is! The biggest change you'll notice in this new mode is that you start with just one survivor. Don't worry, by searching the town or using a flashlight or beacon, you can find / attract survivors to boost your odds. Each survivor brings with them prejudices, items and even injuries, so you'll need to carefully consider their inclusion. And, when the group reaches its capacity of five, it's not you who decides who should go -- your survivors will make that decision for you! If you do reject a survivor, they'll retaliate by stealing equipment, sabotaging barricades and setting traps, so be careful! You won't encounter the likes of the super zombie, lynch mob or the girl and her dangerous relatives either, but that's only because No Survivors presents its own set of tribulations. You'll have to track down resources, set up safehouses and try and keep zombie levels down by patrolling and sniping. If you don't, locations will slowly be overrun, after which you won't be able to access them. We've also done some reshuffling of the game mode selection screen. Each mode now has its difficulty level clearly displayed and hovering over a mode will reveal additional information about it. The Classic mode has been renamed "Deadline" and represents the most challenging of the three. Road Kill is the default, normal mode while No Survivors is the easiest. On the item front, protection gear makes its debut. This includes hockey masks, ballistics vests, motorcycle helmets, hard hats and many more. You don't have to worry about equipping your survivors individually, just have these items with you and they'll sort themselves out. Protection gear provides defence against melee and ranged attacks, but the more damage they take, the more they'll wear out and eventually fall apart. A new weapon also makes an appearance -- the submachine gun. It uses 9mm ammo and is a nice weapon to take with you on assaults. It's not very efficient however and you'll find it goes through rounds very quickly. We've also added a backpack by popular demand, a rare item that will make hauling equipment around a little easier. 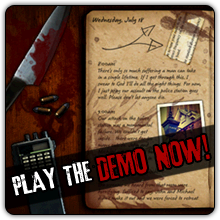 Overall, difficult has been reduced in all modes, so new players should find the game a little easier to get into. That said, Deadline (formerly Classic) remains a very challenging mode to win. For a complete changelog and the download link, head over to our forums. 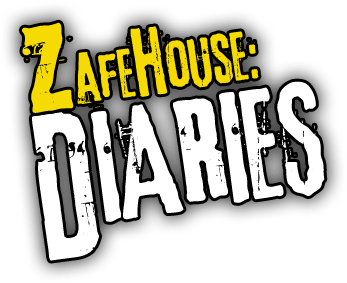 Zafehouse Diaries 2 Is Available Now! @BikeManStream @ZSteuer No worries mate, happy holidays! Coles' brand is the next best. Everything else is an extremely distant third. Would love to know why Zymil's is the only (fresh) lactose-free milk that doesn't taste like battery acid once it's steamed. @amandamyeo @_HayleyElise @angharadyeo This is perfect. @GrayConnolly As a teenager. Odd to see you rag on him for this. © Screwfly Studios Pty Ltd 2012. | Theme based on Toolbox by Automattic. | Need to get in touch? Contact us.